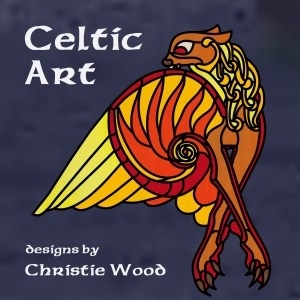 Celtic Art A collection of 60 timeless Celtic designs by Christie Wood. This group of patterns features traditional Celtic knotwork, wonderfully wild Celtic animal knots, intricate circle and square knotwork, cover plates from the Book of Kells, Celtic crosses and even Druid, wiccan and pagan designs. From the simplistic to the outrageously difficult, there is something for everyone in this collection.